Curry is executive producer of Breakthrough, which releases in theaters April 17 and tells the true story of a 15-year-old boy named John Smith who is thought dead when he falls through an icy pond but regains a pulse when his mom begins praying. Chrissy Metz of This Is Us plays the mother. It is the first film to have Curry’s name on it as a producer. Breakthrough producer DeVon Franklin recruited Curry for the project, believing it was a good fit. The boy, Smith, is a basketball player. Curry’s involvement helps the film, Franklin said. 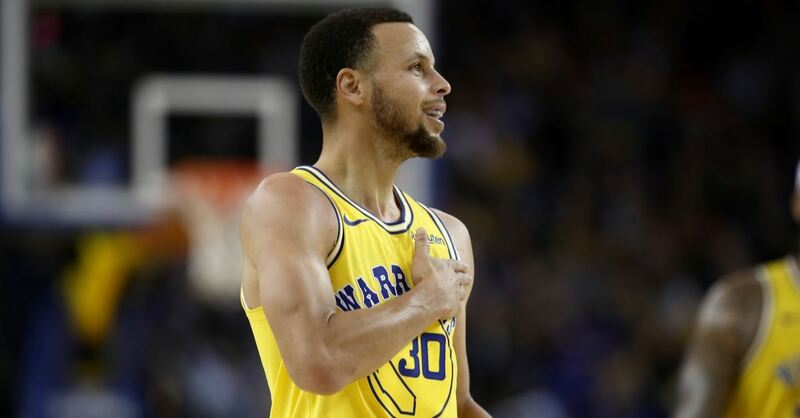 The NBA All-Star and Golden State Warriors guard has discussed the movie in various forums, including during an appearance on The Late Late Show with James Corden. John Smith, in Breakthrough, is a Curry fan. The boldness of the mom’s faith, Curry said, is what made him want to get involved. According to the Internet Movie Database, two upcoming documentaries – Emanuel and Jumpshot: The Kenny Sailors Story– also list Curry as an executive producer. “You’re gonna be moved,” he said of Breakthrough.